Railway Bangladesh Job Circular 2016 has found my website ejobscircular.com . Welcome to Railway Bangladesh Job Circular 2016. Bangladesh Railway published a New job circular at Independent Newspaper on 2 September 2016. www.railway.gov.bd official Railway website published new job Location of Chittagong . Applying Method: Document via post office. 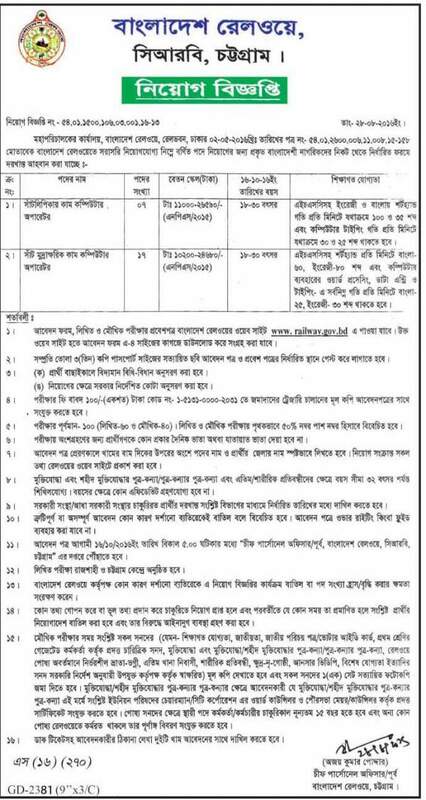 This entry was posted in BD Govt Jobs 2019, Chittagong, Independent, jobs Newspaper and tagged Railway Jobs by ejobscircular. Bookmark the permalink.